You may have heard of all of these popular myths before. 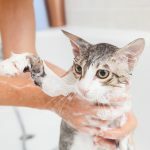 Cat people like us do need constant reminders regarding these myths and since WhiskerBox cares for each cat out there, we’ve compiled what we know into a master list. 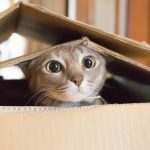 You may print a copy of this list of cat facts and bookmark it online, then let us know in the comments section what you think or if we missed any myths here. Blame it on pop culture and superstitious family members. Cats are normal creatures like us, so they can only live once. Based on observation, they appear to have stronger bodies and recover easily after falling and getting hurt (not all the time, however) so perhaps some think they tend to cheat death often. A cat can steal a baby’s breath. Another crazy superstition that puts cats in a bad light…that a cat does this out of jealousy. What is true though is that cats like to feel warm and are drawn to people, especially babies, due to body heat. However, too much contact can cause suffocation to a baby. This is why adult supervision is a must when it comes to handling babies and cats at all times, such as when babies take their nap. When cats purr, it’s only because they’re happy. Purring can also be an emotional response when in pain, while giving birth, or when overly exhausted. A vet would say that reasons behind this case of hydrophobia is are a cat’s sensitivity to two things: loud noises (like the sound of running water) that make them go away and body contact that involves temperature (water may be normal in temperature for us but too cool for them, since cats have a higher rate of normal body temperature than us humans), plus the discomfort of feeling heavier with wet fur (as cats are used to self-grooming, particularly licking itself). However there are some breeds who do not, like Turkish Van cats for example. Cats always want a belly rub when they expose their bellies. They sure trust you when they do so, but will sometimes become defensive when you rub them (you get clawed and bitten as a result). Proceed with minor caution. Cats can only see black and white. They can see and distinguish various colors but they’re not as well-skilled as humans. Their crepuscular nature (active during twilight hours) makes them more active in hunting during dawn and dusk, especially with their “night vision” pair of eyes. Pet food, particularly meat meal for cats and dogs, contain flesh of animals from the zoo or classified under road kill and 4-D (which means Dead, Diseased, Disabled, and Dying). This remains a myth because major producers of pet food strictly follow standards pertaining to usage of animal proteins. In addition, majority of American pet food brands that are Pet Food Institute members stated in legal documents that they don’t use such “damaged goods”. Even tests done by FDA Center for Veterinary Medicine on random pet food samples produced negative results (a.k.a. negative of feline and canine DNA content). Humans should only rely on the ingredients list when checking the label or packaging of their cat’s food. It pays to read thoroughly but you have the right to ask the pet food company further questions about the product. Trust in brands with reliable customer service as they can disclose such information as by-product content, whether their meat come from plants that passed USDA inspection, and how many reputable veterinary nutritionists (preferably members of the American College of Veterinary Nutrition or ACVN) vetted they have only high quality ingredients. Cat food that’s expensive and bought in a posh pet store is always the best of its kind. Don’t let price be your only basis. Check the label, call the manufacturer’s customer service number and check with your cat’s doctor to certify that what you’re buying is safe for your cat’s health. Not all cheap cat food is junk and not all costly cat food is actually worth your money. Adult cats are more lactose intolerant because they lose amounts of the lactase enzyme (needed for lactose digestion) as they get older. Your cat, if lactose intolerant, would suffer from an upset stomach or vomit with milk intake consumed 2-3 days before. It’s still better to feed them dairy products with less lactose but in small amounts such as cheese, yogurt, ice cream and butter. Cats can live with only fish in their diet. They still need to have variety in meat products. Too much canned fish may lead to hyperthyroidism, as well as fish-based meals can cause allergies brought by histamine. Fish may be one of the best sources of omega 3 fatty acids good for your kitty’s eyes and brain, but it can only bring diseases if sourced from sea farming or any fish farming location that is overpopulated or failed to meet standards related to hygiene. When cats eat grass, they’re sick. Grass prevents indigestion among cats, but excessive consumption is still alarming (see the vet immediately if this happens). Cats are healthier as vegetarians. Our feline friends need 20% of protein and some amino acids in their diet that only meat can provide. Their digestive system is not as capable to receive nutrients from plants as that of humans. Pain killers and other kinds of human medication work on pets too. Only some would work, because other kinds can kill instead of cure. Let your veterinarian decide on what human medication can be best for your pet. Indoor cats are healthier so they won’t need examinations and vaccines. Protection by staying indoors is still not enough. There’s a law requiring rabies shots and these can prevent transmission of rabies to cats. Also, indoor cats are prone to heartworm (mosquitoes being its carriers), kidney and dental diseases, bladder stones and other common pet illnesses. 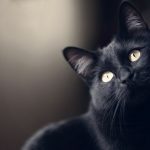 It’s unfortunate that urban legends and scary movies show black cats as a sign of death (when a person sees one while walking down the street) or as assistants to/a result of shapeshifting among witches or the devil himself. 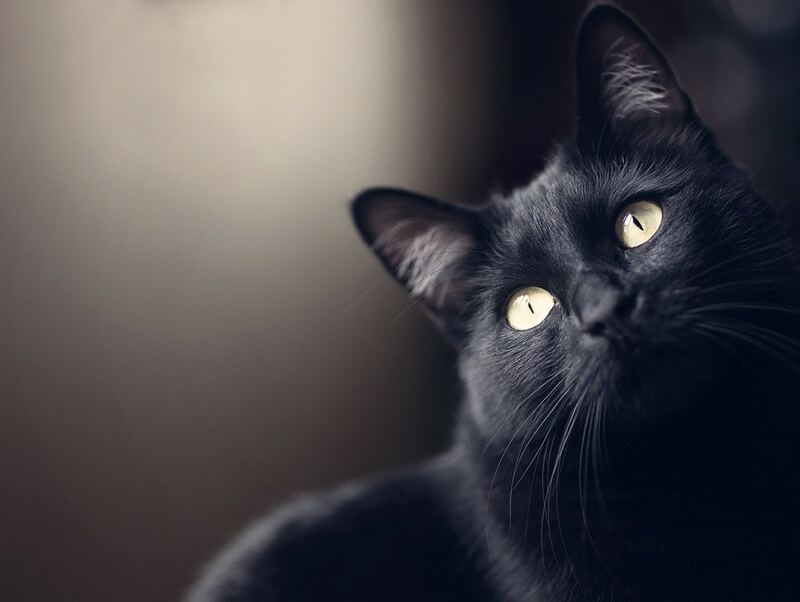 Black cats may look less adorable to some because of its color, but they’re just cats and they can be great pets too. Cats are a no-no for pregnant women. Infections on fetuses caused by the parasitic disease toxoplasmosis can be acquired from cat litter, so if you happen to be pregnant and you’re the only one who needs to do the cleanup, don’t forget to use rubber gloves and take time to wash your hands (wash thoroughly – better safe than sorry). 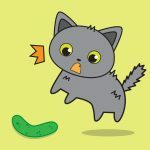 Do you know other cat facts that we can include here? Tell us!